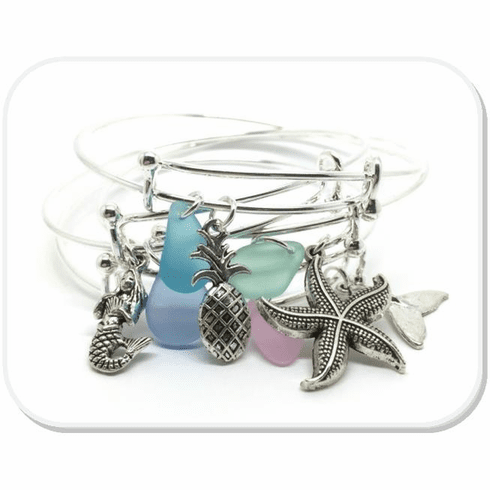 Artisan-crafted beach glass with silver and pewter ocean charms on an expandable silver bangle. Due to the nature of beach glass, no two pieces are exactly alike. Fits 6.5" to 7.5" wrist comfortably.